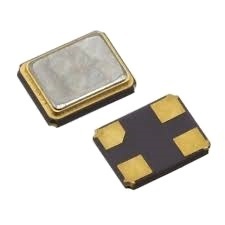 The BC39 Series crystal is an ultra miniature ceramic surface mount (smd) package measuring 3.2x2.5x0.70mm. The ceramic base and metal cover provide excellent durability and reliability for numerous applications. Some possible applications include mobile phones, bluetooth, PC cards and mobile communications.